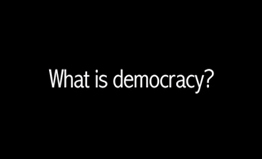 This video by Brett Story explores a few different perspectives on what democracy means. The site also includes links to news articles that we think could help generate discussion about how the frames in the book support critical thinking around current issues. The "Further Resources" section provides extra material that we think people interested in democracy might find useful. to be talking about democracy. Democracy is a familiar word that means, literally, rule by the people. For many people, the word evokes familiar images, such as voting in elections, speeches by political leaders, courthouses, city halls, and so on. Others may think about protestors in the streets, neighbourhood meetings, or online debates among activist bloggers. On this website, you will find some thoughts about how the book might be used in different courses, as well as examples of in-class activities that tie the book's core themes and concepts to current events. We've also included statements from a variety of activists, students, professors, and others that show them exercising their own democratic imaginations. US begins government shutdown as budget deadline passes. 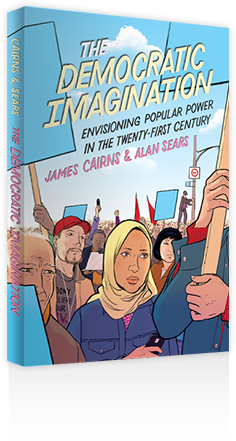 "The Democratic Imagination provides a readable and provocative analysis of the different ideas about democracy." —Judy Rebick, Activist and author of Occupy This! The Higher Education Division of the University of Toronto Press (UTP) publishes materials for course use that are pedagogically valuable and that also contribute to ongoing scholarship.